The burger, America’s quintessential comfort food, can be enjoyed in an impossibly endless number of ways. So, we don’t find it unusual that some say December 21 is National Hamburger Day. Others say National Hamburger Day is July 28 and the burger also gets a whole month of celebration in May. Regardless, hamburgers are a national past time enjoyed by everyone in the US and we’re lucky to have so many great venues to savor these juicy treats in Chicagoland. 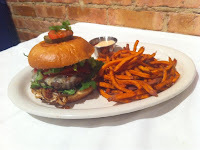 Chicago Magazine’s #1 Sirloin Burger ($15) at Prairie Grass Cafe (601 Skokie Blvd., Northbrook, IL 60062; 847205-4433) is one of our favorites. 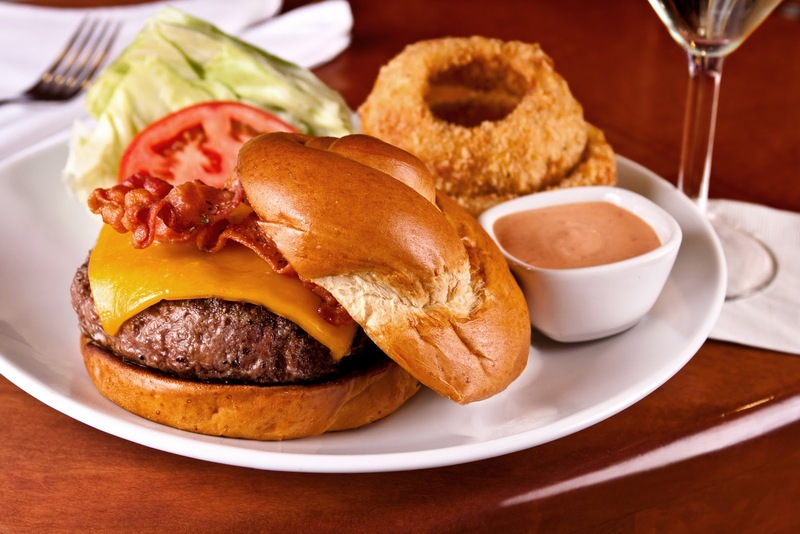 This thick, juicy burger is made with delicious Tallgrass sirloin beef charbroiled with Amish blue cheese topping. This burger is served without a bun so you can focus all your attention on the incredible burger (though you can ask for one if you desire). 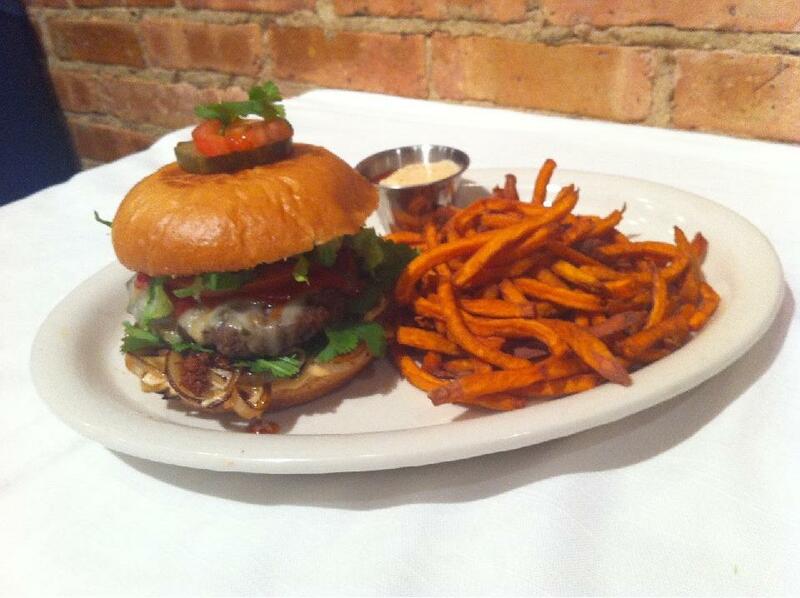 There’s a reason it was named Chicago Magazine’s favorite burger in 2009. It’s simply incredible! ﻿﻿If you’re looking for variety and healthfulness with your burgers or you’re dining with someone with specific food needs, Everest Burger (91 Green Bay Rd., Glencoe, IL 60022; 847-242-0909) is the place for you. While they serve traditional hamburgers—made from all-natural prairie grass beef—they also offer a little something for everyone with burgers made of chicken, Portobello mushrooms, salmon, turkey, black beans or walnut. Everything at Everest Burger is hormone free, chemical free and steroid free. Everest Burger features homemade buns in several varieties including gluten-free buns for those with food allergies as well as traditional white and wheat. From the spicy delights of the Chorizo Burger (chorizo, tomato, ketchup and cilantro - $12.95) to the simplicity of their Base Camp Burger (lettuce, tomato, onions, blue cheese, avocado and kalamata olives - $9.25), there is an opportunity for everyone to find something they love at Everest Burger. Fleming’s PrimeSteakhouse and Wine Bar (25 E. Ohio St., Chicago IL 60611; 312-329-9463 and 960 Milwaukee Ave., Lincolnshire, IL 60069) offers a Prime Burger Bar, featuring 5 variations of excellence in burgers made with the highest quality ingredients. Their flavor combinations are unique and offer you the chance to try something new and delicious on a bun. Fleming’s Burger is $6 before 7 p.m. as part of their 5 for $6 till 7 menu and $12 after 7 p.m. These incredible burgers pair perfectly with wine from Fleming’s extensive wine offerings or one of their specialty cocktails. If you’re looking for something smaller in the realm of burgers, we suggest the Mini Burgers ($9.25) from the Maxwell’s at the Club at the East Bank Club (500 N. Kingsbury St., Chicago, IL 60610). These delicious burgers are made with the same prime beef and served with the same toppings as the normally sized burgers, but they offer you the option of sharing or eating something a little smaller. These small burgers are served three at a time with regular French fries or sweet potato fries. Take time to celebrate National Hamburger Day today! Whichever option you choose, we think you’ll be glad you did.